Love this gum bball project. It is so cute. If I won more wobbles I would wobble some Valentines hearts on cards.. Thank for the great video. I would wobble something for Valentines day i think. Maybe a cupid with an arrow. :) love your blog. Following now! I would use it on a card for mt 78 year mother. She always gets so excited with the cute ideas I have for cards. I know she would really love and cherish it. (This would be my first wobble)! Hi Julie - Your gumball machine wobble video was awesome! You did a wonderful job on assembling that nice give-away treat! Thank you for sharing and thanks for drawing me out of the hat again - If I win again I will wobble a Moose or horse - that is what I am thinking - I am a follower of your blog and the Action Wobble blog as well - Happy New Year and I hope work is not too difficult for you on Wed - I am glad your cough is almost gone - been there and done that! This is just tooooo cute!!!! Love the gumballs in the bags too! Perfect idea! Great project and congrats to Gail. I like how you were able to cut the action wobble to fit the gumball machine. I would wobble a heart for Valentine's day if I win. I follow both blogs. such a cute idea!! I am trying to find cute fast projects to send to a missionary!! I think with Valentine Day approaching, I would wobble some hearts, or something sweet for my sweety. Like wobbles. The gumball with wobble is fun. New follower referred by Gail. Congrats Gail on your win. I like to use wobbles on animals. Thanks for giveaway chance. Love the wobbles. I think I will have to buy me some of those to make a wobbly heart for Valentine's Day for my hubby. Thanks for the chance to win! Am already a follower of your blog & Action Wobble. Love you oh so sweet and yummy treat. I love seeing all these wonderful wobble ideas. I haven't used it for cards yet but have played with them to see how they work. I plan to make cards to send to my sister using a new gnome stamp I have. I will probably enter it in the Wed Challenge. Thanks for all the great ideas. 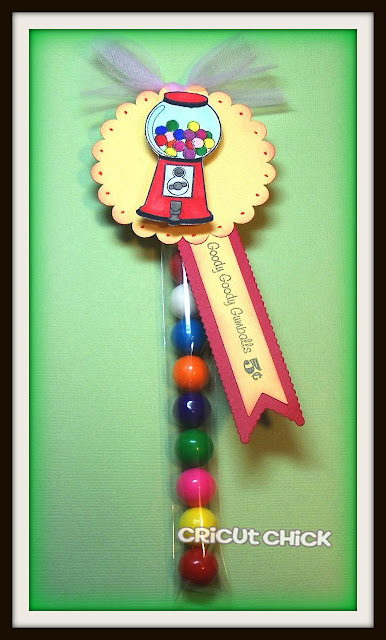 Julie, such an adorable Gumball machine wobble!! So cute! I would like to make these for thank you tubes' too, or on a card!! Thank you for the video! Congratulations, again, Gail! You are so lucky!! PS Have been your follower, as well as Wobble Action's! Cute card, just love those action wobbles on your cards.